Sclerotherapy treats varicose veins, spider veins and blood vessel malformations by causing the target vein and any feeder veins to shrink and dissolve, eventually leaving skin vein-free. Typically, a sclerosing solution is injected into the vessels, causing them to immediately shrink, close off and eventually disappear. Several treatments may be necessary to get desired results. Results are long term and while new spider veins may form, veins that have been treated with sclerotherapy should not return. Dr. Christine S. Cheng is a board certified physician who is devoting her full-time practice to aesthetics and wellness medicine. Always artistically and musically inclined, Dr. Cheng graduated with honors in Piano Performance at the University of Texas in Austin while completing her pre-medical studies. She then attended the University of Texas Medical Branch in Galveston, where she received her M.D. degree. Dr. Cheng obtained her post-graduate medical training in Houston, Texas with the Memorial Family Medicine Residency Program. 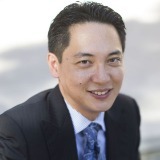 Dr. Cheng is a graduate of the Ageless Aesthetic Institute. She trained under Dr. Sharon McQuillan, whose expertise in Botox, injectable fillers, and cosmetic laser procedures are world-renowned. Dr. Cheng has worked with patients of all ages and from all walks of life. She has served as a clinical professor, with appointments from both the University of Texas Medical Branch and the University of Texas at Houston Medical School. She is also an active member of the American Academy of Anti-Aging Medicine, the Texas Medical Association, and the American Academy of Family Physicians. Since her decision to leave music and the arts to devote her career to medicine, Dr. Cheng has continually sought to integrate her artistic talents and the appreciation of beauty into her practice. She firmly believes in the strong connection between the art of beauty and the science of wellness, and constantly strives to inspire and help her patients to live up to their fullest potential.